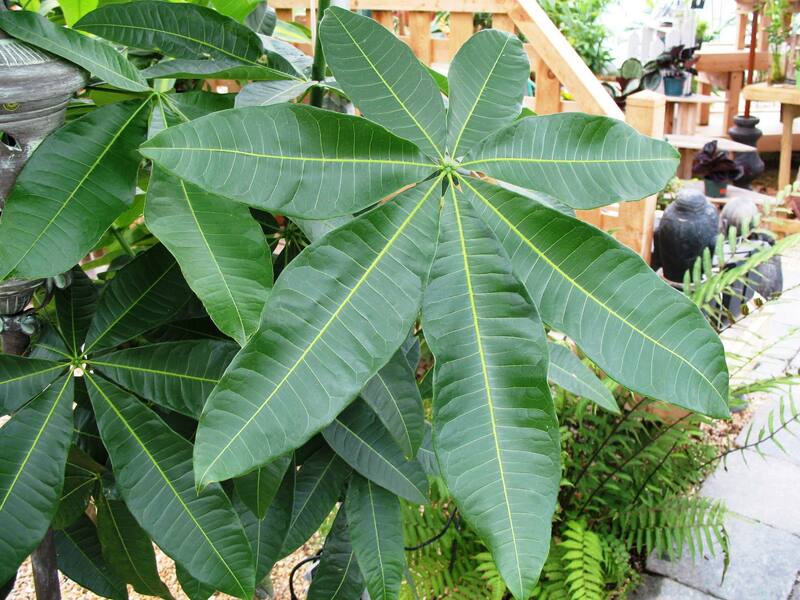 Comments: In the tropics it grows to 60 feet, but in cultivation in the USA it seldon grows less than 20 feet. Grows in swampy areas or areas flooded much of the time and along side rivers and streams. Large, coarse textured leaves give a tropical effect in the landscape. It is used as a house plant and is also grown for its edible nuts. Young leaves and flowers may be cooked and eaten. In its native habitat creamy white fragrant flowers and football like fruit may be present year round.